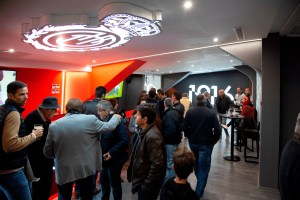 The bonus must be redeemed on the day of the match at the OK CARS box office from 2 hours before the match, there you will be told where to go. 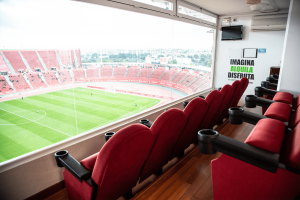 Enjoy a football match like a real VIP in one of our boxes! 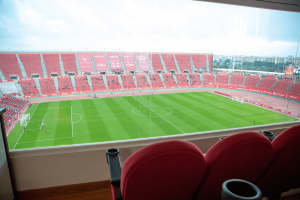 Living a match from one of our VIP boxes is a real experience. We have private boxes with up to 12 seats. You will watch the match from the best seats, have access to the VIP Boxes area, personalised assistance and catering throughout the match. 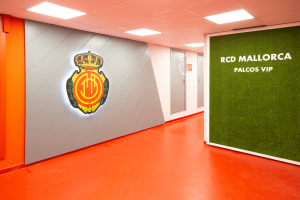 Are you ready to see our Son Moix stadium from another point of view? Living a match from one of our VIP boxes is a real experience. We have private boxes with a maximum of 12 seats. 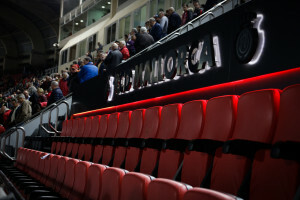 You will watch the match from the best seats, have access to the VIP Boxes area, personal assistance and catering service throughout the match. 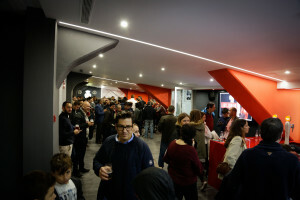 Are you ready to see our Son Moix stadium from another point of view? 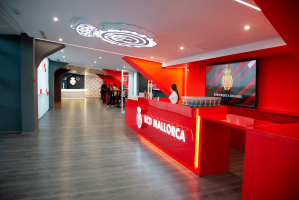 You will be able to watch the match in an exclusive and privileged space in one of the best areas of the Stadium, where you will be able to enjoy the meeting together with family, friends, companies... 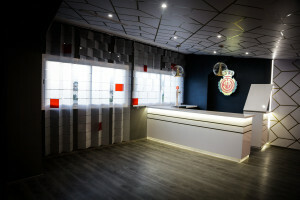 In the anteroom of the Box we have a bar and a catering service, in addition to the personal assistance of our hostesses. A privileged enclave at the foot of the countryside to live the match in a unique way. Accompanied by catering, bar and an assistant at your service throughout the meeting. This VIP experience is aimed at exclusive customers who want to live a different and unique day, which includes: pick up at the Hotel by our driver in a vehicle provided by our Partner OK CARS, welcome pack, assistance to the game in VIP area (Corner Vip or Presidential Box, depending on availability) and once the meeting is over you can enjoy a lunch / dinner in one of our partner restaurants. Once the pack is purchased, one of our assistants will contact you within a maximum period of 24 hours, to inform you of the organization of your experience.